Last week, I mentioned we had another piece of furniture almost ready for the store. Well, it’s finished and sitting pretty at our space in Not So Shabby Antiques & Fine Furniture in Zeeland, Michigan. 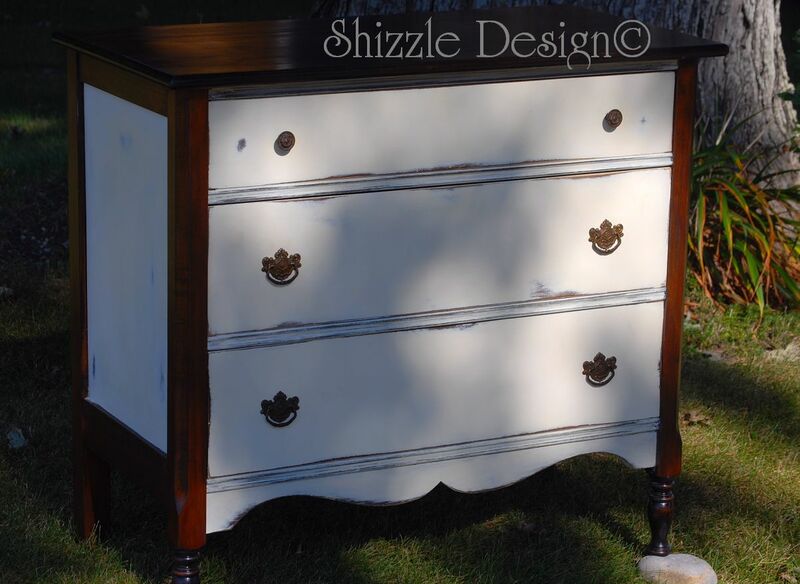 This petite gem was transformed into an even more charming chest of drawers. She had some pretty slick details to begin with; check out the awesome hardware!! Gotta love it! Cathy started this renovation by stripping and refinishing the solid wood top with a beautiful antique walnut stain – STUNNING! But… there was no stopping her there. 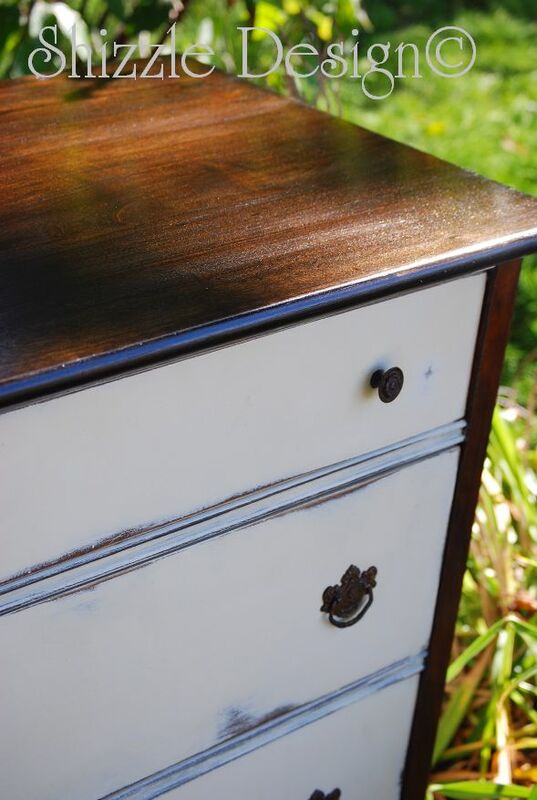 It turned out so pretty, she stripped and stained several other parts of the dresser to accentuate it’s natural beauty. 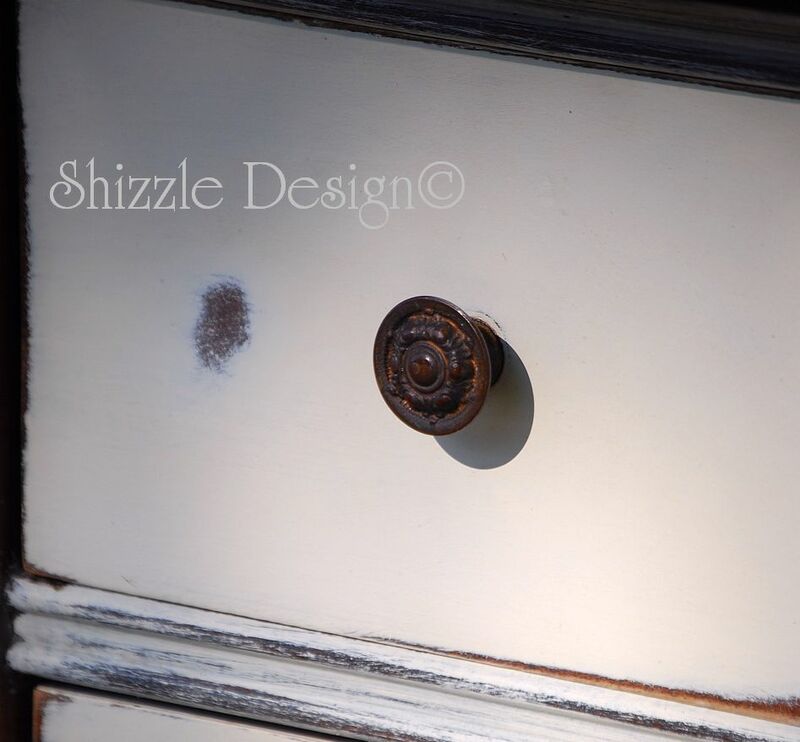 The drawers and base were painted in one of our favorite Annie Sloan colors, Old White. Cathy used her special ninja forces to distress it in all the right places. Okay – I have NO idea where that came from – lol, must be my head cold! Anyway… I think my sister did a bang up job! 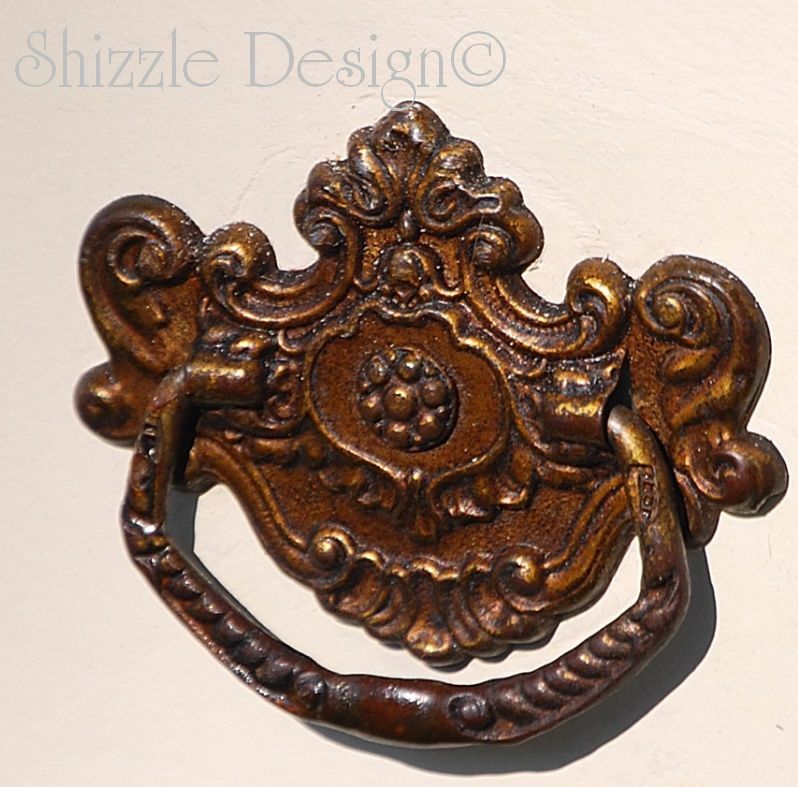 This piece offers loads of charm yet is small enough to fit into compact spaces such as an entryway or bathroom. Just imagine it as a vanity in a small bathroom with one of those cool vessel sinks on top! Ooh-la-la!! Since this post, I’ve learned so much. I worked around the clock for a year using these products but continued to have difficulties achieving a quality finish with their wax. I tried other several other waxes by different companies, some were hard, other’s were a little easier to blend in and work with but also had those terrible fumes. I experienced months of recurring respiratory problems and even with my exhaust system, I was advised to remove as many chemical hazards from my environment as possible or find another line of working order to get well.I replaced toxic, hand burning, chemical strippers with citrus based strippers (which work better anyway), pulled chemically laden paints, waxes, glues… and started searching for better products. That search eventually led me to the products I choose today ~ American Paint Company’s all natural, eco-friendly chalk and clay based mineral paints. From the first time I tried them, I was sold. I know that sounds so dramatic, but after everything I went through, It was a God send. This type of paint is so much easier to work with. It spreads easier, covers better, adheres well and the wax and finishes have been life changing for how much work I can accomplish on any given day. I love these paints so well that I decided to share what I do with our followers. 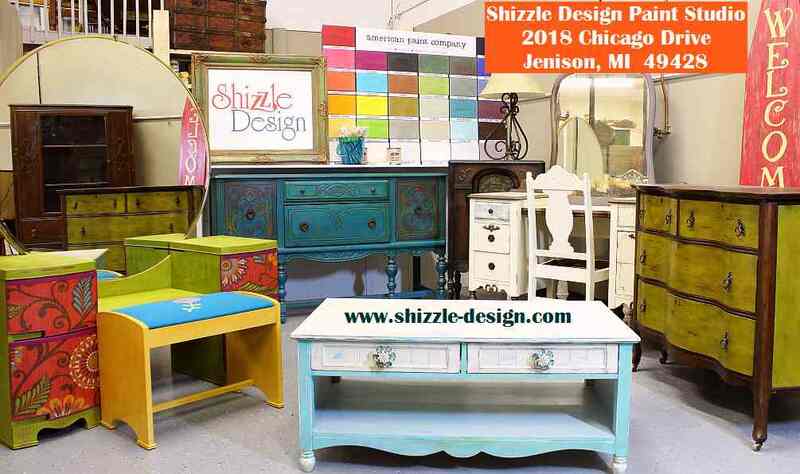 We proudly offer American Paint Company Paints locally in the Greater Grand Rapids area and sell worldwide on our Online Shizzle Shop. Instead of hoarding our knowledge, we empower DIY’ers by sharing our years of experience. 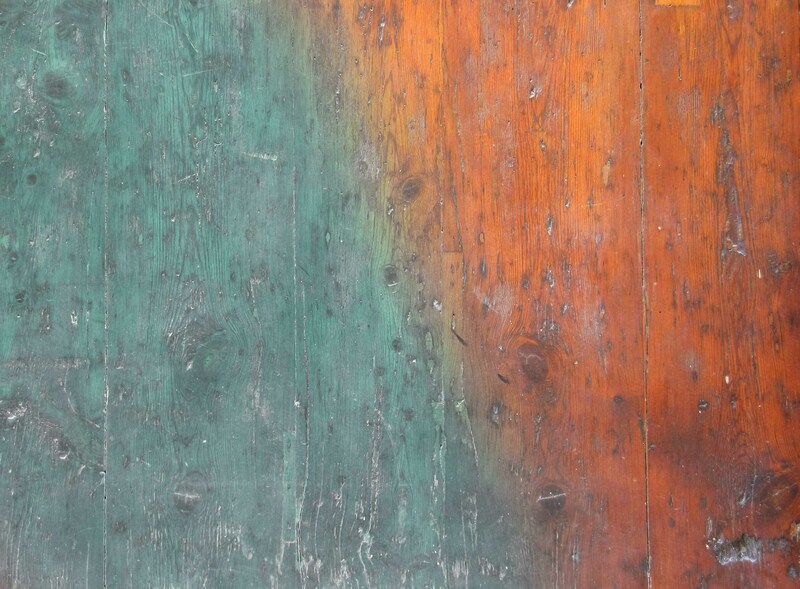 Stop in for paint and we’ll offer you honest and knowledgeable answers for all your chalk and clay paint needs. You’re funny Lisa! I mean, who are you again?? lololololol!!! Okay, I’m humoring myself silly now, too much crud in my sinuses making me all goofy. I haven’t given any thought to “I’ve known you forever” discounts but I have been thinking about swapping services. Half of the things in this house are broke down right now; it’s no wonder I’m sick. Wow! This piece is a beauty. I love the beauty of the wood on more than just the top. I don’t think I’ve seen that before. I see your “Linking” issue. Shoot me and e-mail if you would like some help. I’d be happy to assist. 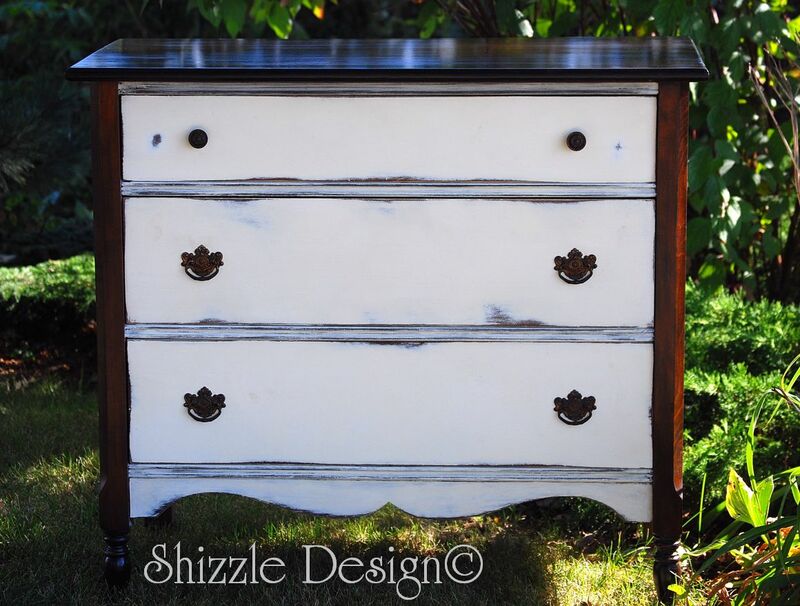 SO lovely; I’ve always liked the contrast of white paint and dark wood! 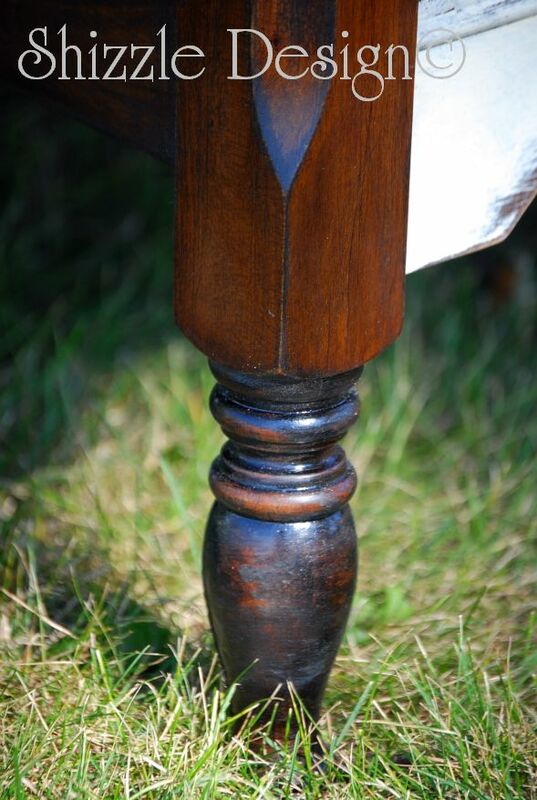 You do a fantastic job re finishing furniture. I found your blog from miss mustard seed. 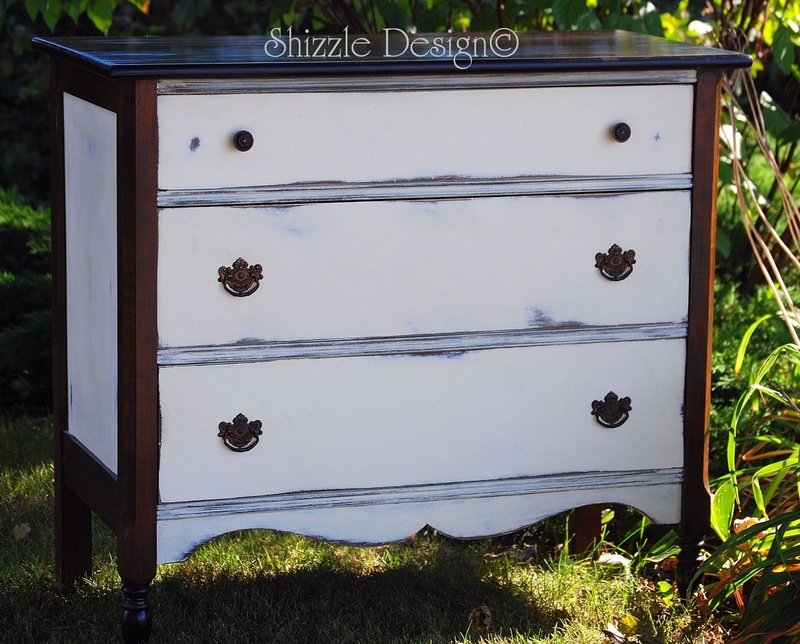 I have been wanting to try Annie Sloan chalk paint for some times now and looking at your stuff talked my right into it. Thanks for all the inspiring pieces you do. I am a new follower!